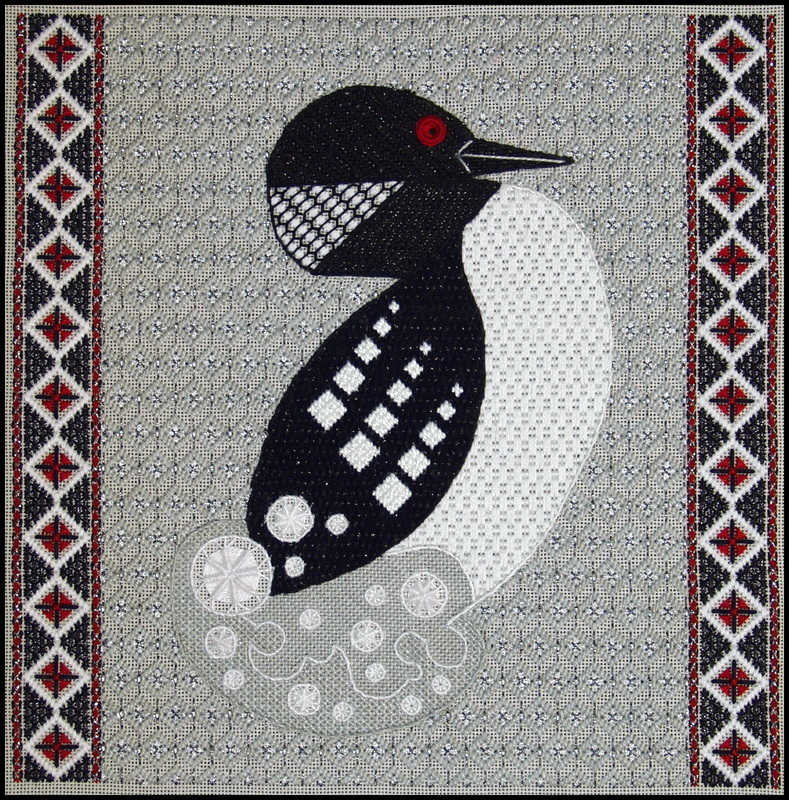 Loon Tunes is the fourth design that I have adapted, with permission, from the work of graphic artist Eleanor Grosch. 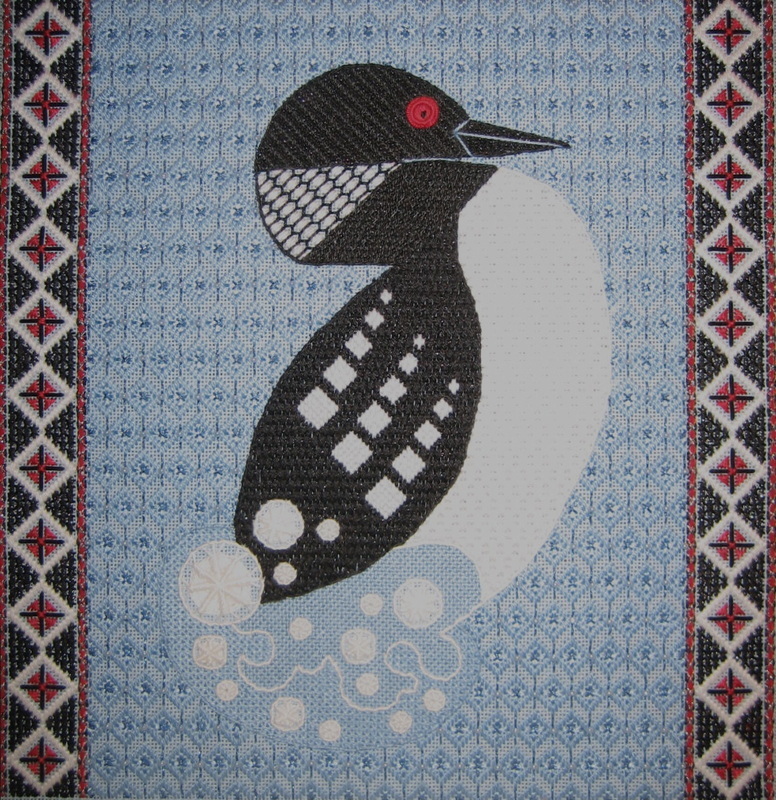 The loon itself is depicted in bold texture stitches placed over metallic laid rows, providing a wet appearance. A handsome blackwork pattern is used to simulate the neck stripes and rows of white Hungarian variations embellish the back feathers. A buttonhole-covered jump ring adds dimension to the distinctive red eye, and Algerian eyes and whipped spider variations form the splashing water. Ann’s original border and background treatments complete the design. Students provide: 14" X 14" stretcher frame.